Fonterra has announced a $1 million donation towards recovery efforts in Christchurch and the wider Canterbury area which was struck by an earthquake yesterday. The donation will go to the Mayoral Relief Fund. “We are very concerned for people in the region, especially those coping with significant damage to their homes. We know the donation will be put to good and immediate use as people try to cope with the very difficult conditions. We encourage other companies to do the same. Fonterra would also continue to provide practical help through local staff and equipment. Fonterra CEO Andrew Ferrier said four Fonterra tankers had been stationed at local emergency centres and were delivering water to the community. In addition, Fonterra was working with the civil defence team to provide food and milk for the public via emergency centres. Fonterra service centres and Area Managers were contacting all local dairy farmers. An estimated 20 percent of farms in the area were still without power.
. . . a lot of homeowners will over time find damage that they’re not expecting at the moment. There’ll be problems that can’t present themselves visibly underground and there’s a major rebuild job here in Christchurch. . . But when you go to that financial issue, an what we’re hearing from EQC is they expect claims from at least 100,000 homes, potentially more. They’re saying a bill of a billion dollars, maybe more. This is the single biggest claim on EQC since the scheme was established. So it is a major impact on both that scheme, but ultimately there’s all the other costs, those that are uninsured, costs on the central government, costs on local government, costs on businesses. He said the total cost may amount to a couple of billion dollars. He also mentioned the silver lining. There will be employment opportunities in Christchurch and the hinterland as people clean up and rebuild. UPDATE: Kiwiblog reports another silver lining – Jim Anderton told CTV on Friday it would take an earthquake for him to lose the mayoral election. Just 6/10 in the NZ Herald news quiz and an even worse 5/10 in the world news quiz. Extirpate – to root out, completely destroy. 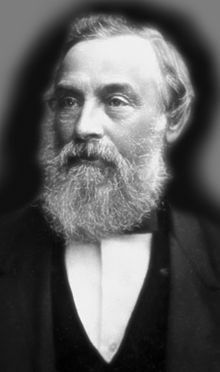 It is a blessing that Canterbury and its people, though shaken and stirred, weren’t extirpated by the earthquake. It’s not a taxpayer bail out. It’s not north saving south, urban paying rural. People who lent to and borrowed from South Canterbury Finance came from all over the country. Only those covered by the Deposit Guarantee scheme will get their money back. Receivership will enable an orderly sale of assets to minimise the eventual cost and damage to the wider economy. The government made the right decision over a business that went badly wrong. When I said it’s not a tax payer bailout I meant that the company wasn’t being bailed out. But the depositors are and the taxpayer will end up paying under the Deposit Guarantee Scheme. Fees – taken from the big banks not finance companies – will cover some of the cost. The return on the sale of the company assets – as a whole or n pieces – will recoup a lot of money but no-one is expecting that to cover all that’s owing. Was it fair that finance companies were included when the scheme was rushed into existence in October 2008 during the darkest hours of the global banking crisis and the last days of the Labour Administration? Was it fair that finance companies still afloat then got protection while investors in those that had already crashed got nothing? Was it fair that some people had subsequently invested money in finance companies to exploit the Government guarantee? Possibly not to the first question and definitely not to the second. The exposure of flaws in the deposit guarantee scheme provoked demands they be called to account for failing to rectify them. . . . While much has been made of the approval of that extension, it is essentially irrelevant. The Government was obliged to pay out the $1.6 billion to depositors because South Canterbury Finance is still covered by the original two-year scheme which has run from October 2008. The Crown could have withdrawn its guarantee earlier if it considered there was misconduct on the part of the company or a material change in its financial position for the worse. But the Government would still have had to pay out investors after the company inevitably defaulted as a result of the guarantee being withdrawn. Some money would have been saved. However, the Government gambled on the appointment of restructuring guru Sandy Maier as chief executive to get large portions of the company back on a sound footing. The gamble failed. But it was surely worth a go. The simple truth is that once South Canterbury Finance was under the umbrella of the deposit guarantee scheme, the taxpayer liability was there for as long as the scheme was in place. There are grounds for arguing the scheme has been in place too long. But that is from the benefit of hindsight.
. . . Both main parties – Labour in setting up the scheme and National this week in seeking to minimise both the cost to the taxpayer and the economic fallout – have sought to act in the national interest. Yet, no one – apart from those who creamed it on the back of the Government guarantee – is happy. The Government is the convenient whipping boy. It is and that’s why people accusing National of acting in the interests of supporters is tosh. People who get their money back not only come from all around New Zealand they’ll have a variety of political persuasions and they are far fewer in number than the rest of the populace who are aggrieved. There are far more votes to be lost than gained from this. But when you’re in government you don’t get to pick your fights. You have to deal with what comes up and make decisions based on the best information available. Sometimes that will be politically popular, much of the time it won’t and this one definitely isn’t. Yesterday’s earthquake in Canterbury struck about the time farm workers were getting herds in for milking. An email from Fonterra says there have been no reports of injuries on farms and all the company’s staff are safe. There was minimal damage to the Plains manufacturing site but no impact on production and some racking damage at the NZ Brands Halswell Junction Distribution centre. Fonterra was able to pick up milk from farms although some herds couldn’t be milked because of no power and there were reports that some rotary sheds were badly damaged. The company had four tankers loaded with water at Clandeboye ready to go to community if needed. While farms need power for milking in many other ways it may be easier to cope without important basic services in the country than towns. Water from troughs or streams can be boiled for drinking and if plumbing fails it would be easier to dig a long drop on a farm than in a city section. One common reaction from both town and country is that it could have been much worse and it’s fortunate there were few serious injuries to people. Things are only things and not as important as people, but as the shock and relief wears off, the impact of loss and damage to property will sink in. How long to prepare 30 seconds on air? The email inviting me to be one of the bloggers in Q&A’s Bloggerheads came while we were in Australia a couple of weeks ago. I replied saying I was interested and would report in when I was back in New Zealand, which I did. The producer, Tim Watkin, responded to that with a phone call on Thursday asking if I could record 30 seconds on the issue of the week for this Sunday in the next 24 hours. I hesitated. There were several semi-urgent things on my to-do list, but goodness, how much time would it take to prepare for and record 30 seconds on air? I said yes and he emailed a link for the software I needed to download in order to get the video from my computer to his. I tried downloading it to the laptop and when that didn’t work I tried the PC. That didn’t work either. I called Tim. He sent a different link. It worked. Thirty seconds is a maximum of 90 words. Any more and you have totalksofastallthewordsruntogether. But three words a second still means talking quite quickly and leaves no time for pause or emphasis. I used to write a column for Teletext which required getting a coherent idea across in very few words and that discipline came in handy. I managed to make a point in 75 words and prepared to record. I’d never used the webcam, couldn’t find the paper instructions and a search on the computer drew a blank. Maybe that little eye thingy wasn’t a camera and the computer didn’t have one? But I was going to be in Dunedin next day so could buy one and record the clip there. My first stop on Friday was Noel Leeming where a very helpful young woman explained the pros and cons of various cameras, recommended one and then mentioned discs. The HP Mini I had with me doesn’t have a disc drive. She did that fast tap, tapping young computer-literate people do, found the camera and showed me how to use it. I thanked her profusely and went back to the car. En route I caught sight of my reflection in a mirror and gulped. I know what they say about a sow’s ear and a silk purse, but even a sow’s ear can be improved with skilled help. As I drove along George Street I noticed a park outside Rodney Wayne, a hairdressing salon I’d used before. I parked, went in and explained why my hair required a little emergency attention. The lovely receptionist consulted the appointment book and said Amy could help. Half an hour later, looking much less dishevelled, I drove to my niece’s flat and requested the use of a quiet room for recording. I turned the computer on, found the camera, pushed record, counted to 10 as instructed and delivered my 75 words. Then I clicked preview. The preview showed pictures but had no sound. I searched for audio devices and as far as I could see anything that ought to be turned on was. I went back to Noel Leeming and explained my problem. A helpful young man talked me through the pros and cons of various microphones, told me the one he recommended just had to be plugged into a USB port and all would be well. I returned to my niece’s flat, commandeered her baby’s bedroom again, turned on the computer, plugged in the microphone, turned it on, opened the webcam, clicked record, did my piece again, and clicked preview. It still showed pictures but had no sound. I shut down the computer, packed it up and took it to SCL electronics who’d sold it to me in the first place. There Alex did the fast tap, tapping young computer-literate people do, clicked record, said a few words, clicked preview and got pictures and words back. He then talked me through the steps to follow in case I lost the sound again. I returned to my niece’s flat, commandeered her baby’s bedroom a third time, turned on the computer, plugged in the microphone, opened the webcam, recorded my piece and clicked preview. It played pictures but no words again.. I followed Alex’s instructions, clicked on record, recited the 75 words again, clicked preview and got both words and pictures. I then tried to send it to Auckland. The wireless connection kept disconnecting. My niece suggested trying to connect via their computer. Connecting to the programme was only the first step I had to transfer the file and I couldn’t find it. My niece tried but she couldn’t find it either. She called her husband, who’s studying IT. He did the fast tap, tapping young computer-literate people do, found the file and told me how to transfer it. I clicked and dragged as instructed, clicked send and it worked. So there you have it, several hours to prepare the 30 seconds on air which is to be broadcast on Q& A sometime between 9 and 10.30 this morning. Brought to you with the help of two young people at Noel Leeming, Amy at Rodney Wayne, Alex at SCL, my niece and her husband – with special thanks tom their son whose cot appears in the background. 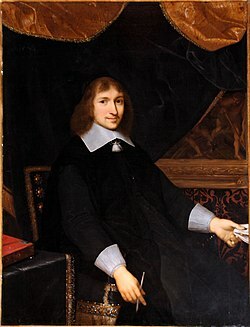 1661 Fall of Nicolas Fouquet: Louis XIV’s Superintendent of Finances was arrested in Nantes by D’Artagnan, captain of the king’s musketeers. 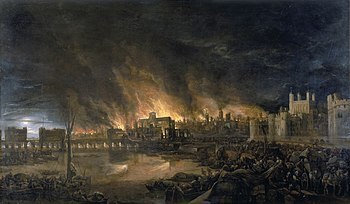 1666 Great Fire of London ended: 10,000 buildings including St. Paul’s Cathedral were destroyed, but only 16 people were known to have died. 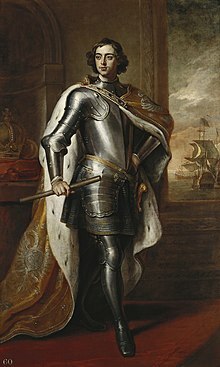 1698 In an effort to Westernize his nobility, Tsar Peter I of Russia imposed a tax on beards for all men except the clergy and peasantry. 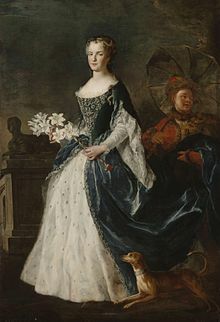 1725 Wedding of Louis XV and Maria Leszczyńska. 1774 First Continental Congress assembled in Philadelphia, Pennsylvania. 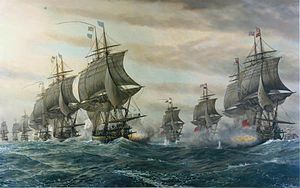 1781 Battle of the Chesapeake. 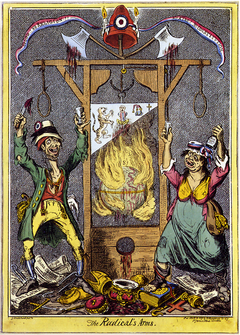 1793 French Revolution the French National Convention initiated the Reign of Terror. 1798 Conscription was made mandatory in France by the Jourdan law. 1800 Napoleon surrendered Malta to Great Britain. 1812 War of 1812: The Siege of Fort Wayne began when Chief Winamac’s forces attacked two soldiers returning from the fort’s outhouses. 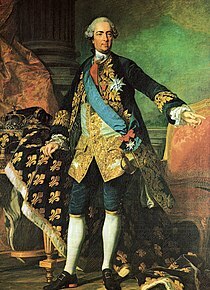 1816 Louis XVIII had to dissolve the Chambre introuvable (“Unobtainable Chamber”). 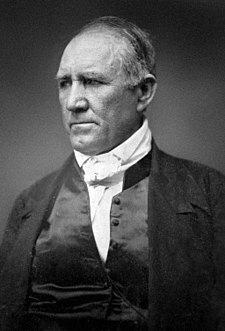 1836 Sam Houston was elected as the first president of the Republic of Texas. 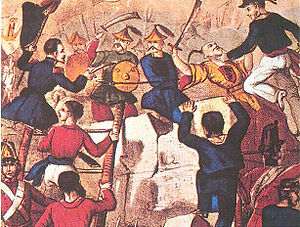 1839 The First Opium War began in China. 1840 Premiere of Giuseppe Verdi’s Un giorno di regno at La Scala, Milan. 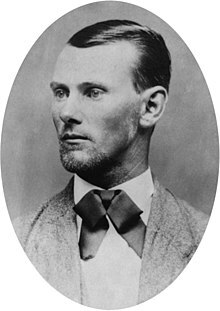 1847 Jesse James, American outlaw, was born (d. 1882). 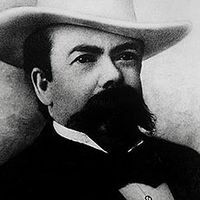 1850 Jack Daniel, Creator of Jack Daniel’s, was born (d. 1911). 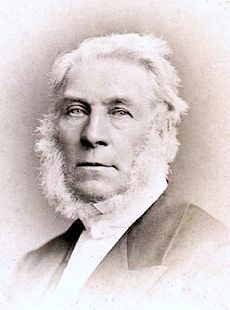 1862 James Glaisher, pioneering meteorologist and Henry Tracey Coxwell broke world record for altitude whilst collecting data in their balloon. 1877 Indian Wars: Oglala Sioux chief Crazy Horse was bayoneted by a United States soldier after resisting confinement in a guardhouse. 1882 The first United States Labor Day parade was held in New York City. 1905 The Treaty of Portsmouth, mediated by US President Theodore Roosevelt, ended the Russo-Japanese war. 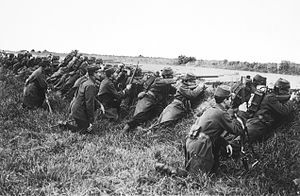 1914 World War I: First Battle of the Marne begins. Northeast of Paris, the French attack and defeat German forces who are advancing on the capital. 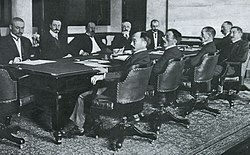 1915 The pacifist Zimmerwald Conference began. 1918 Decree “On Red Terror” was published in Russia. 1927 The first Oswald the Lucky Rabbit cartoon, Trolley Troubles, produced by Walt Disney, was released by Universal Pictures. 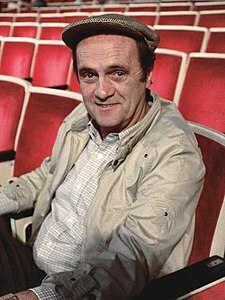 1929 Bob Newhart, American actor and comedian, was born. 1932 The French Upper Volta was broken apart between Ivory Coast, French Sudan, and Niger. 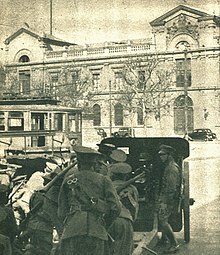 1938 A group of youths affiliated with the fascist National Socialist Movement of Chile were assassinated in the Seguro Obrero massacre. 1939 Prime Minister, Michael Joseph Savage, declared New Zealand’s support for Britain and attacked Nazism. 1939 John Stewart, American musician (The Kingston Trio), was born (d. 2008). 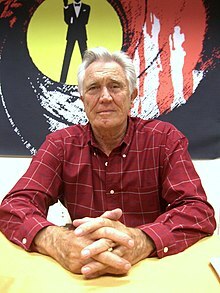 1939 George Lazenby, Australian actor, was born. 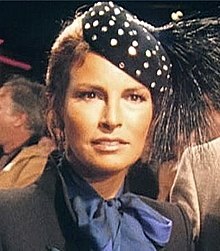 1940 Raquel Welch, American actress, was born. 1942 World War II: Japanese high command ordered withdrawal at Milne Bay, first Japanese defeat in the Pacific War. 1944 Belgium, Netherlands and Luxembourg constituted Benelux. 1945 Al Stewart, Scottish singer and songwriter, was born. 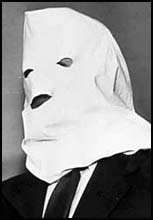 1945 Cold War: Igor Gouzenko, a Soviet Union embassy clerk, defected to Canada, exposing Soviet espionage in North America, signalling the beginning of the Cold War. 1945 – Iva Toguri D’Aquino, a Japanese-American suspected of being wartime radio propagandist Tokyo Rose, was arrested in Yokohama. 1946 Freddie Mercury, Zanzibar-born English singer and songwriter (Queen), was born (d. 1991). 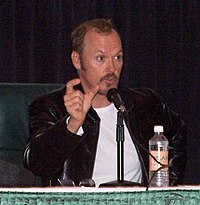 1951 Michael Keaton, American actor, was born. 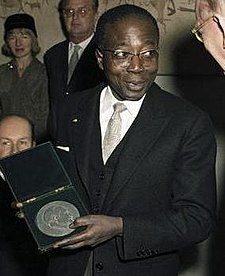 1960 Poet Léopold Sédar Senghor was elected as the first President of Senegal. 1969 My Lai Massacre: U.S. Army Lt. William Calley was charged with six specifications of premeditated murder for the death of 109 Vietnamese civilians. 1972 Munich Massacre: “Black September” attacked and took hostage 11 Israeli athletes at the Munich Olympic Games. 2 died in the attack and 9 die the following day. 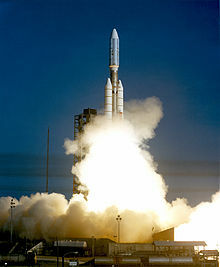 1977 Voyager 1 was launched. 1978 Chris Jack, New Zealand All Black, was born. 1978 Camp David Accords: Menachem Begin and Anwar Sadat began peace process at Camp David, Maryland. 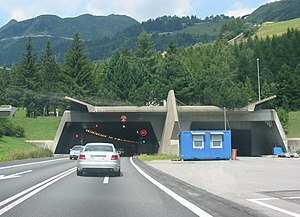 1980 The St. Gotthard Tunnel opened in Switzerland as the world’s longest highway tunnel at 10.14 miles (16.224 km) stretching from Goschenen to Airolo. 1984 The Space Shuttle Discovery landed after its maiden voyage. 1984 Western Australia became the last Australian state to abolish capital punishment. 1986 Pan Am Flight 73 with 358 people on board was hijacked at Karachi International Airport. 1990 Eastern University massacre, massacre of 158 Tamil civilians by Sri Lankan army. 1991 The Indigenous and Tribal Peoples Convention, 1989, came into force. 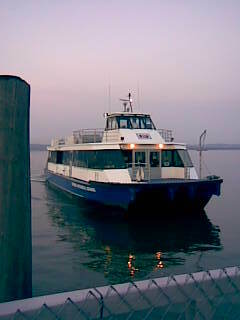 2000 The Haverstraw–Ossining Ferry made its maiden voyage. 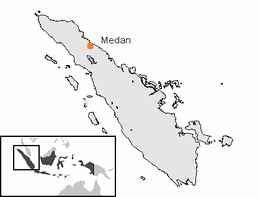 2005 Mandala Airlines Flight 091 crashed into a heavily-populated residential of Sumatra, killing 104 people on board and at least 39 on the ground. 2007 Three terrorists suspected to be a part of Al-Qaeda were arrested in Germany after allegedly planning attacks on both the Frankfurt International airport and US military installations. You are currently browsing the Homepaddock blog archives for the day Sunday, September 5th, 2010.